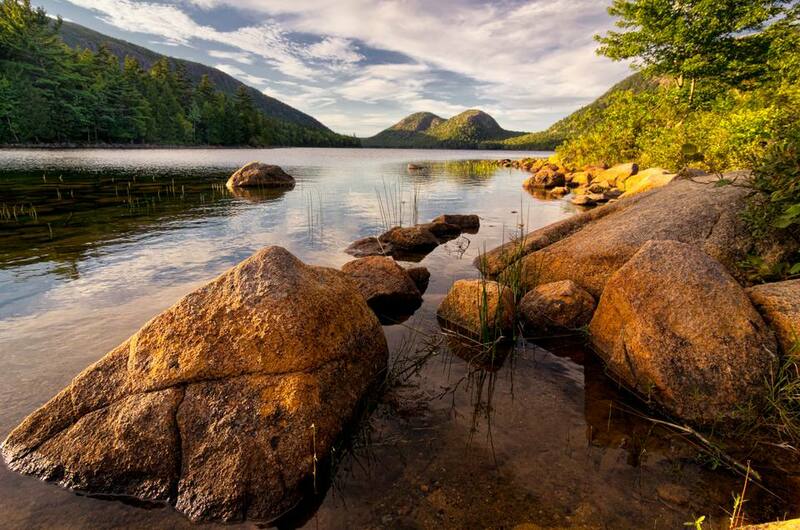 It may be one of the smaller national parks, but Acadia National Park is by far one of the most scenic and picturesque parks in the U.S. Whether you come in the fall to enjoy the stunning foliage, or visit in the summer to swim in the Atlantic Ocean, Maine is a beautiful area to tour. Seaside villages offers shops for antiques, fresh lobster, and homemade fudge, while the national park houses rugged trails for hiking and biking. Various manors, suites, and inns are located in and around Bar Harbor. (Get Rates) Try Bar Harbor Inn or Cleftstone Manor for charming rooms in the quaint seaside town. If you came to camp, sites are available at Blackwoods, Seawall, and Duck Harbor—all with reserved and first-come, first served sites. Be sure to step outside of the park walls to enjoy the quaint town of Bar Harbor, equipped with the most charming seaside folk. Whether you want to go whale watching or shop for antiques, this town is just plain delightful. Those looking to view forest wildlife and migrating seabirds needn’t look further than Maine’s top wildlife refugees: Moosehorn National Wildlife Refuge (Calais), Petit Manan National Wildlife Refuge Complex (Steuben), and Rachel Carson National Wildlife Refuge (Wells).